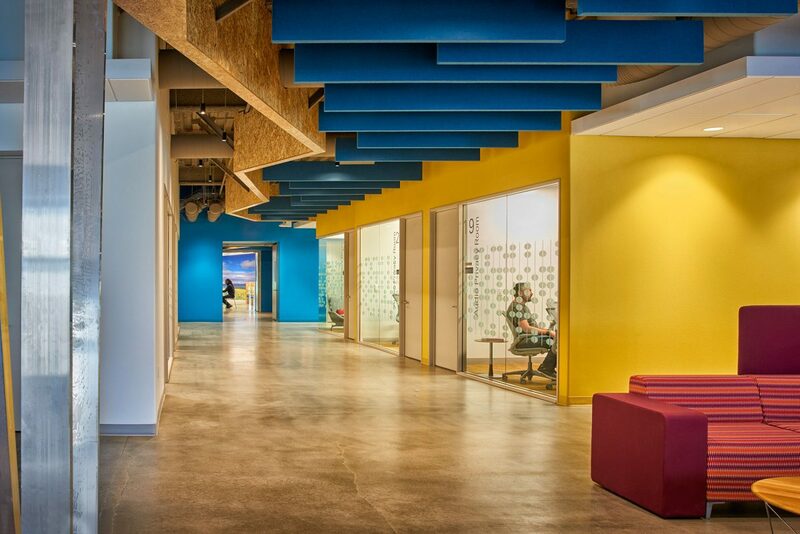 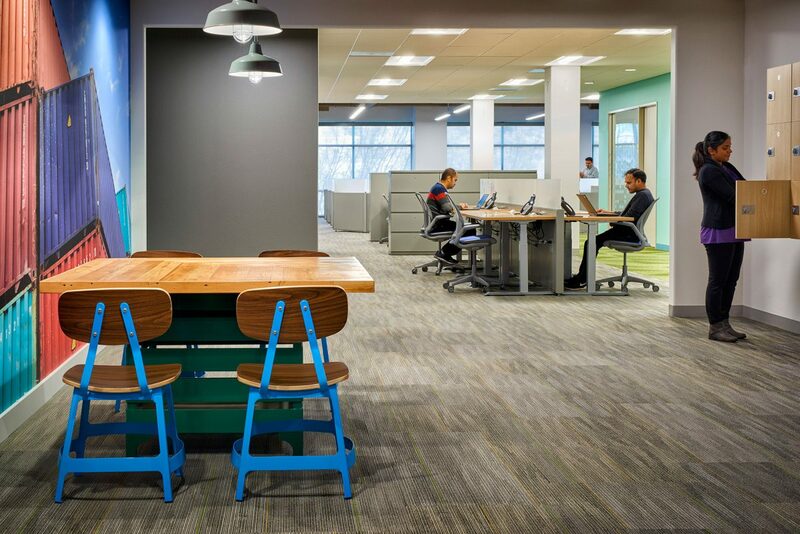 A diverse office landscape for a worldwide networking leader. 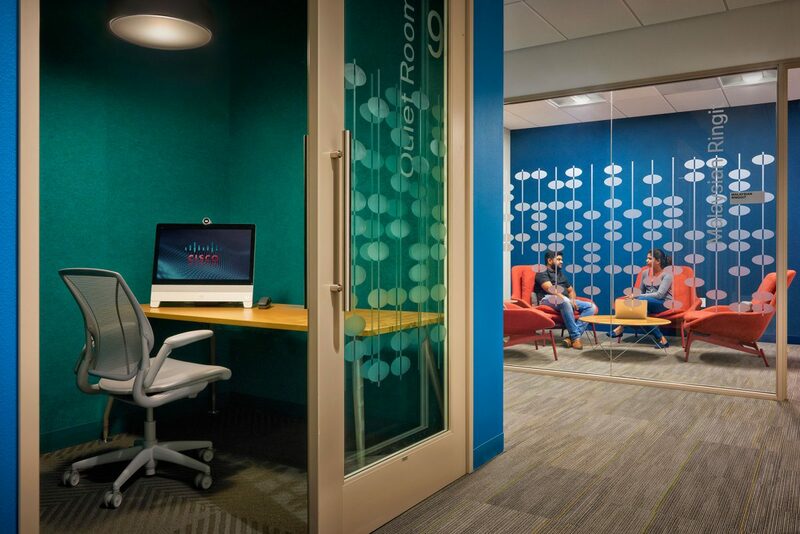 Cisco hardware, software, and service offerings create Internet solutions for individuals, companies, and countries to increase productivity, improve customer satisfaction and strengthen competitive advantage. 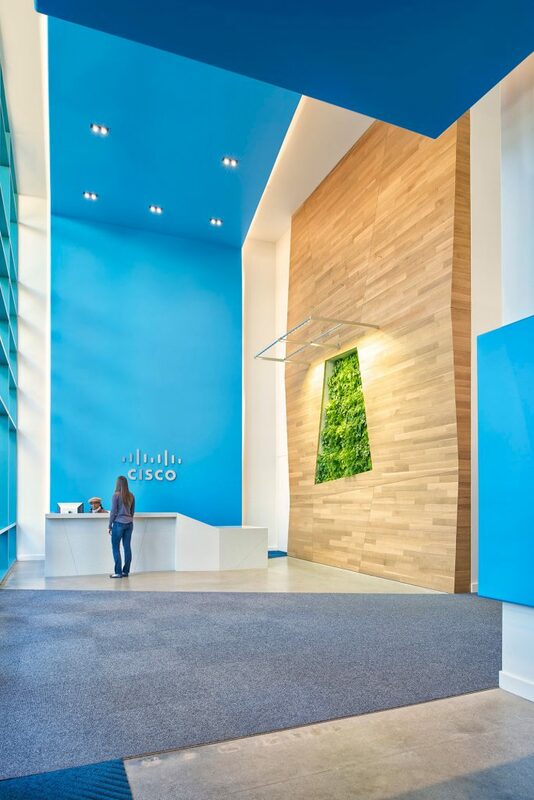 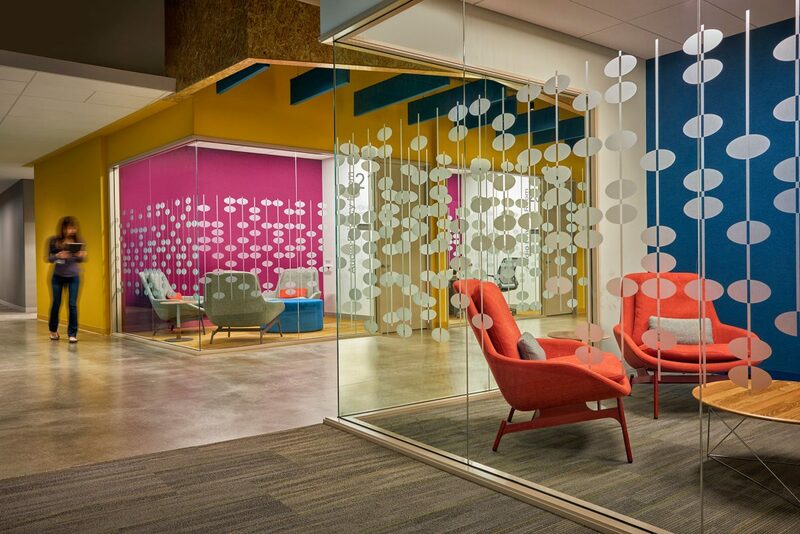 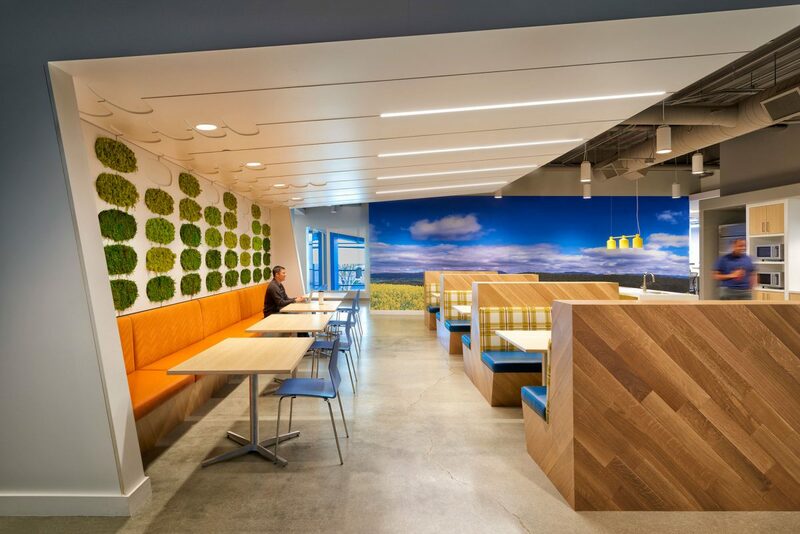 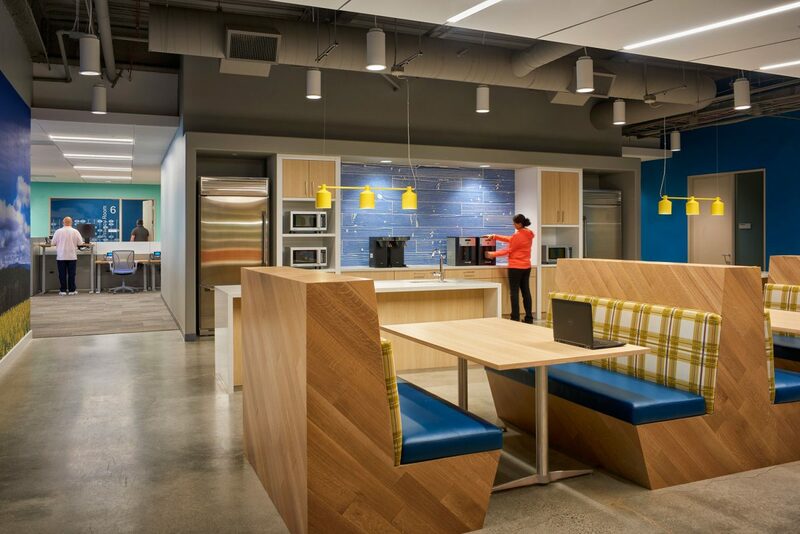 RMW’s interior design for Cisco’s Building 11 improves capacity and spatial efficiency for several finance groups with a bold ecosystem of spaces within the 3-story structure. 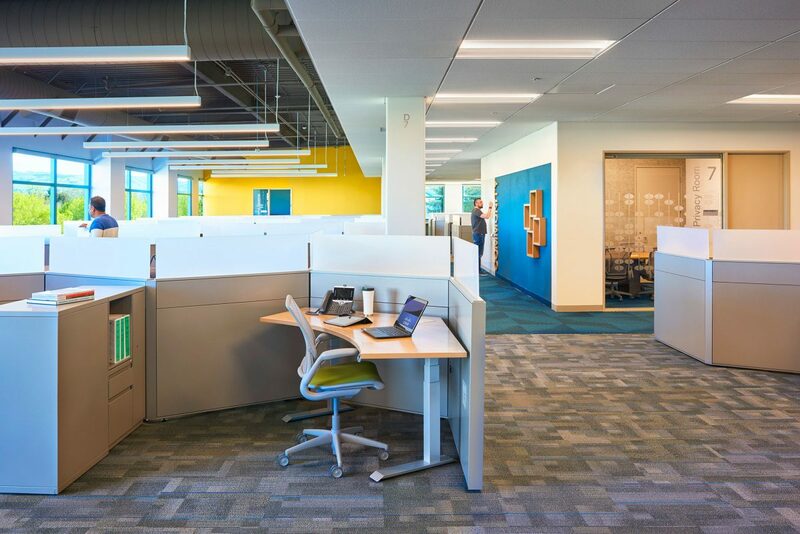 Open ceilings engage wide vistas to the outdoors, inviting natural light into numerous workstations, benching options, quiet rooms and private offices that support the idea of choice in this “Next Generation Workplace.” Throughout the interior, meeting rooms and collaborative areas, configured to enable connections with business units also intersect with break rooms, gaming, and lounge amenities, further establishing Cisco’s vision to improve how people work, live, play and learn.